iFixit disassembled Apple's new "Retina" MacBook Pro and came across quite a few surprises. The teardown confirms users will not be able to do any simple repairs or upgrades to the system, the RAM is soldered onto the logic board, the batteries are glued into the aluminium unibody and the SSD is on a removable card but uses a custom form factor. Additionally, iFixit also points out that the display is effectively a single fused piece, meaning that a ding or crack will likely require a very expensive replacement of the entire assembly. 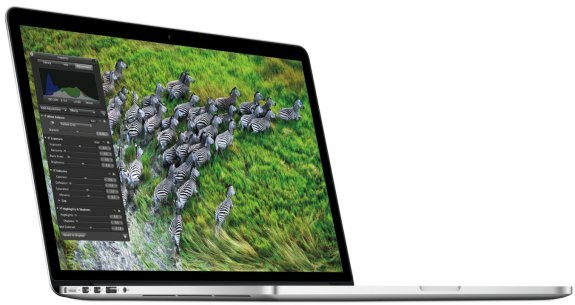 For road warriors looking for the sharpest screen and a great performance/size ratio, the new Retina MacBook Pro should have you covered. For tinkerers and DIY-ers, though, iFixit considers it the worst of any laptop ever. "This is, to date, the least repairable laptop we've taken apart," Wiens told Ars. "Apple has packed all the things we hate into one beautiful little package. On top of being glued together, the new MacBook Pro is virtually non-upgradeable—making it the first MacBook Pro that will be unable to adapt to future advances in memory and storage technology." Full details and pictures at ARS Technica.